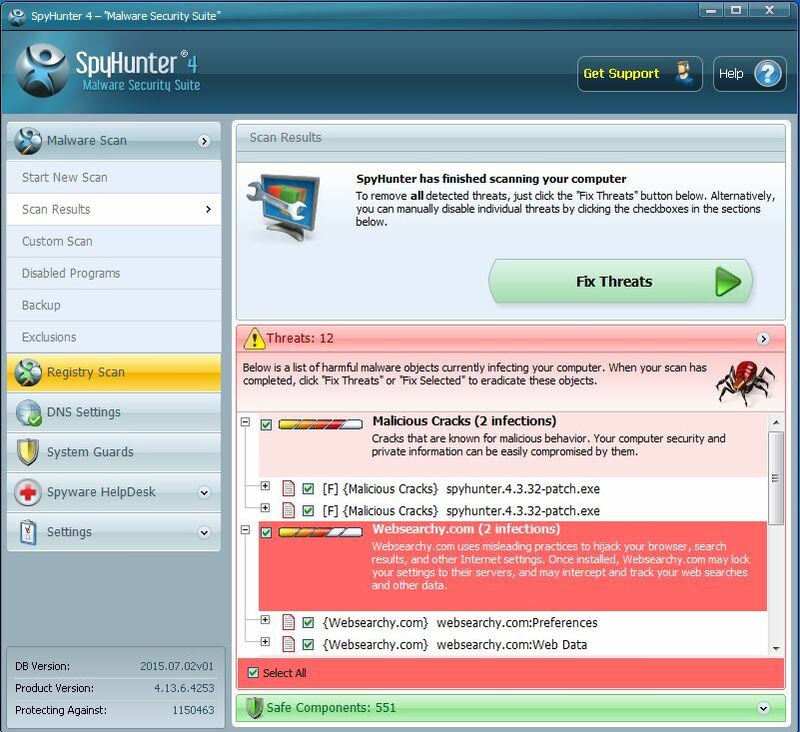 Why SpyHunter Anti-Malware Tool ? The Internet is now packed with malicious programs awaiting to sneak into your system, corrupt your files, steal your sensitive information, demand money from you, allow cyber criminals to gain access of your PC, and what not. It is, therefore, of immense importance that you have a reliable anti-malware tool to protect your system from nasty invaders. SpyHunter Might Then Be Just What You Need. Certified by West Coast Labs’ Checkmark Certification System, SpyHunter is a new generation of anti-malware tools designed to help you protect your computer from malicious threats from the Web in real-time. SpyHunter detects and removes rootkits used to install Trojans, worms, toolbars and rogue anti-spyware programs. Such rootkits use specially encrypted files which make them hard to spot by traditional anti-malware tools. In addition, to stay ahead of the constantly evolving malware out there, and to fulfill your needs, SpyHunter developers have incorporated advanced technology allowing full customization. 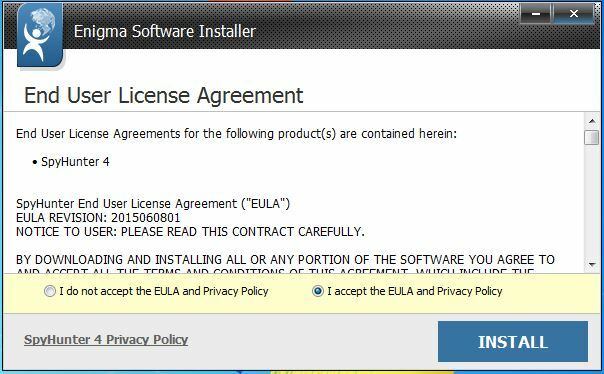 Upon download, SpyHunter configures itself automatically and starts protecting your system immediately from malicious programs such as ransomware, viruses, rogue antivirus programs, and many more. The installation of SpyHunter is fast and easy – it takes seconds to complete the process, and it’s so easy: even your grandmother can do it. Simply choose a language and continue by clicking “next” until the application stops prompting further “next” steps. You will then have to decide whether you wish to protect your home page. Your answer should be “yes” as the number of browser hijackers is growing which makes your system more vulnerable. Once you install SpyHunter, it will serve as your PC guard for as long as you keep it. It will also provide you with a quick access to DNS settings, malware scanner, system guards, settings, and spyware helpdesk. The tool automatically updates its malware database without interrupting the user’s activities in any way. SpyHunter detects rootkits and informs the users immediately via a message. The tool will then ask you to reboot the computer in order to remove the rootkit. To prevent rootkits from regeneration, SpyHunter’s OS allows your PC to boot without Windows, thus securing your system. In case SpyHunter is not able to remove the malicious object automatically, its HelpDesk feature will allow developers to access the system remotely, analyze the infection and fix it. Advanced system scan – scans the file system and registry. Once the scan is completed, the user receives a list with malware components found. Spyware HelpDesk – provides the user with customized fix. Malware Prevention – protects the user’s PC via its System Guards feature. Homepage protection – protects against browser hijackers. Rootkit detection – the most powerful and important function of the application – not available in the traditional anti-spyware programs. Rollback feature – helps the user restore files and settings. Program exclusion – allows you to exclude programs from being detected in future SpyHunter scans. Malware updates – regularly checks for new malware in order to protect the PC from current malware threats.